Under the moniker Pinkcourtesyphone returns Richard Chartier, with his fourth extended release for Foley Folly Folio. 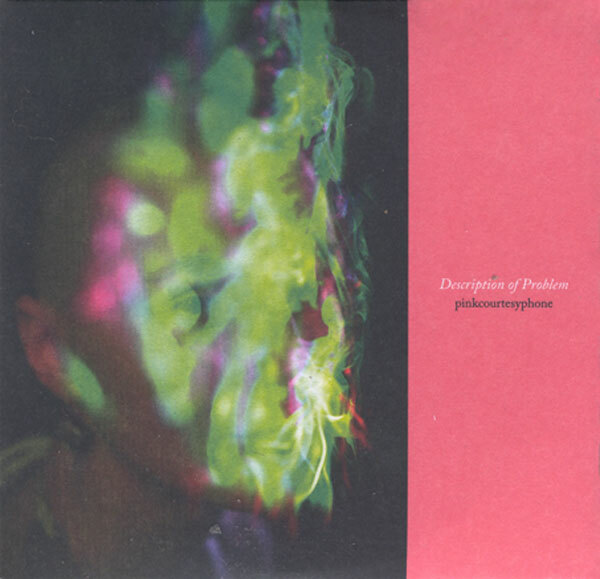 Description of Problem features artists such as William Basinski, AGF, Evelina Domnitch, Cosey Fanni Tutti and King Congo Powers, who contribute vocal additions, creative input and an awareness of the variety of moods that ambient sound can express. This narratively dense production is very evocative, dark and cohesive, full of suggestions and environmental issues. Obsession, sexuality, desolation, devotion, sensuality and possession are just some of the recurring themes that emanate from the grooves, enchantments that are sublimated through iterated, melancholic patterns. We encounter ambient soundscapes, voices that are always well balanced in the structural context of the songs, minimal glitch, small audio emergencies, crackles and breathiness, dream sequences and decaying tonalities. Central to the work are the three ladies: AGF, Evelina Domnitch and Cosey Fanni Tutti: heroines from different contexts and generations who share a malleable ability to modulate emotions. None of the collaborative insertions detract from Chartier’s work, however. The artist remains a towering figure in reductionist electronic scenes. His exploration of the nature of sounds and the way they are perceived is always meticulous and he considers the very act of listening as a basic element in the compositional process. This is an absolutely fascinating release and highly recommended.